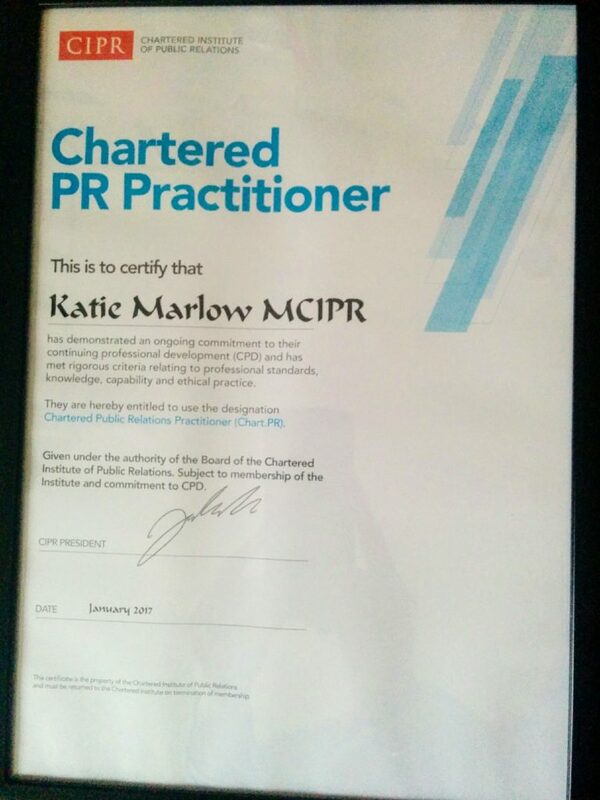 Getting Chartered only came onto my radar when the new approach to the process was adopted by CIPR. I had just not considered it before even though I’m a bit of a comms geek, a PR graduate, an internal comms diploma graduate and a continual learner. I completed my internal comms diploma in 2015 and by the middle of 2016, I was looking for my next big challenge. 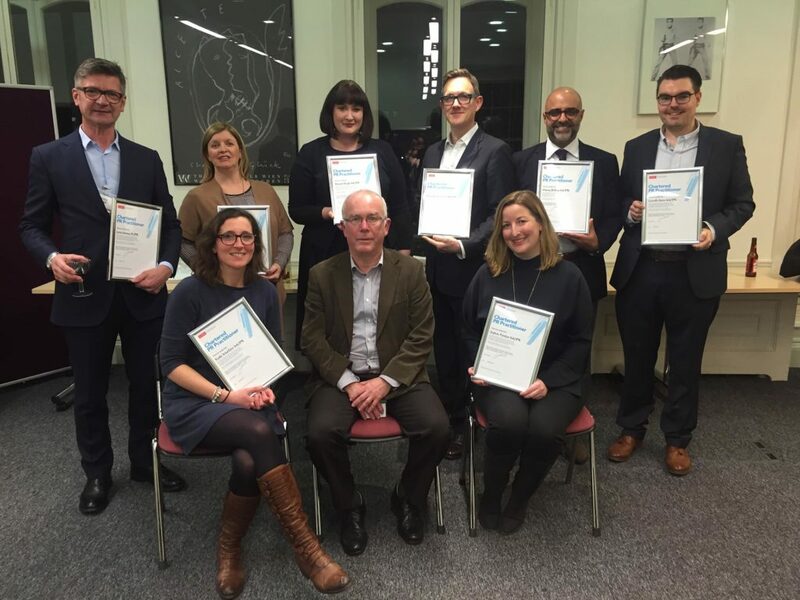 I’ve maintained my CIPR accreditation through continuing professional development (CPD) for the last five years and now that has become a normal practice for me. I wanted to do something more, something that challenged the things about myself that I’m most scared of challenging. I’m an introvert, who can feel like an imposter at times (despite delivering a load of good work, having years of experience and gaining professional qualifications) and interviews and presenting brings me out in hives. The Chartered Assessment process ticked all of the boxes and was the solution to fill the gap in my development and to help me to challenge these aspects. I originally booked for the November 2016 round, but I was thrown a childcare curve ball and had to re-arrange for 23 January 2017. It costs £400 plus VAT. So it’s not something you do lightly. You definitely want to give it your best effort to pass. But if you don’t pass there’s no shame as there’s generally an 80% pass rate and everyone can take a second go at the assessment day if they don’t get through the first time. First check that you meet the criteria. If you’re at all unsure speak to someone at CIPR to check. Apply and pay for your place. Set aside time in your diary to prepare – you will need at least a couple of days. I kept two work days and the weekend clear before the Assessment day on the Monday. Two weeks before the assessment day you are sent your assessment pack via email. There’s a useful guidance document to help you to prepare for the day. On the day, you arrive for 9.00am, with a welcome at 9.30am then the assessment sessions start at 10.00. There are three sessions, each lasting 1 hour 15 minutes each, with coffee breaks and lunch in between. At the end of the day you go through your pre-prepared two-year continuing professional development (CPD) plans with the others in your assessment group. You find out at the end of the day if you have passed or failed. You’ll also get feedback on where you can improve if you didn’t pass or were borderline on any of the assessments. The assessment pack comprises the case studies and papers from journals and research that complement the three main strands of the assessment: Ethics, Leadership and Strategy. Therefore it’s relevant to you no matter what your communication specialism. I can’t share what the papers and case studies were for my assessment as they may be used for future assessments. But what I can tell you is that each one provides not only an opportunity to read about some good practice but to also critique the poor practice too. Go prepared to challenge and critique the materials. I read the materials as soon as I got them. Then filed them away and let a few ideas ferment in the back of my mind until I was ready to cram for the assessment day. Of course, everyone’s different, and I know I always err on the side of caution. I set aside big portions of the four days before my assessment day to prepare. Of course, not every waking hour was spent on the preparations. But it was quite a few hours. I clocked my time using the same app I use to track all of my time for work (I like to know exactly where my working hours go whether they are paid or not). And it totals 15 hours. For me, dedicating those days was important. 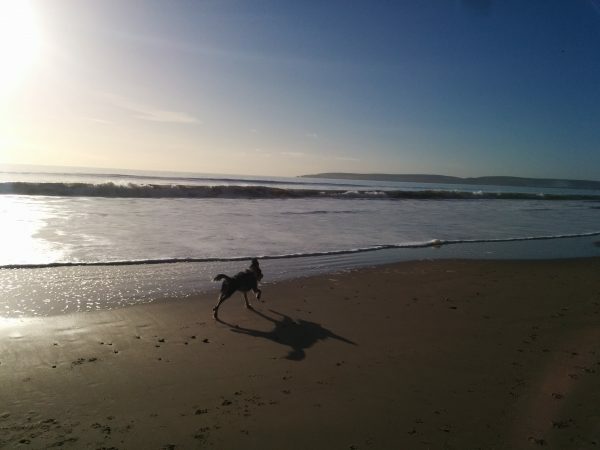 I’m a natural reflector and tend to read, analyse, step away and do something different to come back with fresh ideas. So I was mulling this over throughout those four days, with flashes of inspiration here and there outside of the 15 hours sat at my desk reading, analysing and researching. The other important aspect was to include additional research that was relevant. Having taken my Chartered day in January it was just after the launch of the 2017 Edelman trust barometer so that was relevant and tied into the themes of ethics, leadership and strategy. I also used the CIPR’s own state of the profession survey, case studies and some historical facts which I found interesting. This, coupled with recalling my own experience from professional working life and thinking through the way I would respond in a given situation helped me to prepare. You are allowed to take the paperwork and notes in with you on the day. I prepared a file with the research divided into the three themes. Adding my own research papers and notes alongside the documentation provided by the CIPR for the day. That way, it was all together in the right place when I needed to reference it. As it turned out, I rarely needed to refer to it during the day. Instead it was a piece of security, there just in case I needed it. As part of the Chartered Assessment each candidate prepares their own CPD plan for the next two years before the assessment day. This long view is quite hard but actually I found it really useful and a thought-provoking process. It ties in with my three-year business plan and was a really useful exercise. You review each other’s plans while the assessors come to their conclusions at the end of the day. Depending on the number of candidates the attendees are split into two or more groups. In our assessment group on the day there were two groups of six candidates. In my assessment group there were two senior agency professionals, one communications director, one senior manager from central government and one manager from regional government and myself as an independent internal comms and engagement specialist. We each brought a different perspective and set of experiences making it a really interesting day. The group of candidates stayed together for the day and our group developed a real sense of team and at the end of the day we were all rooting for each other to pass. There were two assessors, one for each group plus a lead assessor and adjudicator who oversees the whole day and ensure consistency in the process. During the assessments it’s vital to play an active and participatory role. Actively listening and contributing to the debate. The assessors ensure that everyone gets a chance to speak and share their views, asking direct questions if needs be. But when you have 75 minutes on a topic with six of you discussing it, the time goes by quickly, so make sure you get your points across. At the end of a session you break for coffee or lunch, and then it’s time for the next one. They don’t always take a set order and are scheduled according to the assessors on the day. Chartered Assessment day 23 January 2017. Chart.PRs Joris Minne, Maurica Mackle, Sinead Doyle, Edward Venning, Vinny Bolina, Gareth Hern, Katie Marlow, (Paul Noble, Lead Assessor) Sylvie Pender. At the end of the CPD review, each candidate is called one-by-one into a separate room to be told if they passed or failed. If they failed they received some immediate feedback which would be followed up on email after the event. If you pass but were on the borderline for one of the themes you’ll be given a little feedback too. I’m very pleased to have been a clear pass through all three themes. I honestly did not have a clue before if I had passed, failed or had any borderlines. The assessors were very good and hard to read. There was not a glimmer of a clue of who was doing well in our group during the day. Absolutely. It was a really challenging, rewarding and interesting day. It pushed me out of my comfort zone and made me present in conditions I’d normally avoid. I met some super talented individuals, taxed my own understanding and professionalism and came away boosted by the acknowledgement of my peers. And feeling a little less like an imposter. Now I’m focussing on following my CPD plan which has some really challenging topics in it such as neuroscience and anthropology alongside gaining specialist insight into communication measures and change communication, and of course building my communication business. If you fancy going for the Chartered Assessment, my advice would be, go for it. Check out the CIPR pages for the latest dates of the assessment days. Next PostLove learning all about communication and engagement? Brilliant Katie – congratulations – what an achievement!